Xiaomi introduced the slider Mi Mix 3 a month ago with the bold claim the phone will arrive next year in Europe with 5G compatibility. 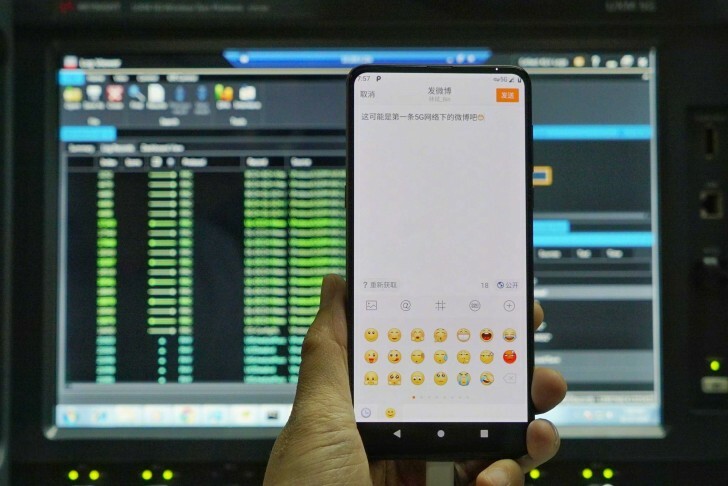 Lin Bin, co-founder and president of Xiaomi, posted a photo on Weibo, revealing the new device managed to reach 5G speeds in a controlled environment. We see the “5G” logo in the upper right corner, while next to the clock in the upper left we see the Android Pie logo, which is probably just an update since the Mi Mix 3 is shipping with the latest OS out of the box. Posting this image, Bin assured the fans that his team can fulfill its promise. If Xiaomi manages to launch the device ahead of MWC 2019, it might be the first smartphone to bring 5G support, overtaking Samsung, OnePlus, and Huawei. Sure, but they are the one of the first to have 5G phone(s) on the market..
What's the big deal? I thought they just buys SoCs/5G chips from Qualcomm then integrate into their phones. Surely, they didn't design the 5G chips themselves?? ?